When Emmy Cunningham started Kindergarten at Stafford Elementary, she already knew she loved playing basketball. She began playing at the age of 4 and loved it immediately. That love of basketball is still very evident today to her family, coaches, teammates and supporters. Unlike some high school athletes that are defined as successful by their athletic ability, Emmy has been successful in so many other aspects of her life. She is a member of the National Honor Society and Senior Class Treasurer. She has been selected to attend the Academic Banquet for 2 years. She is a role model on and off the court. 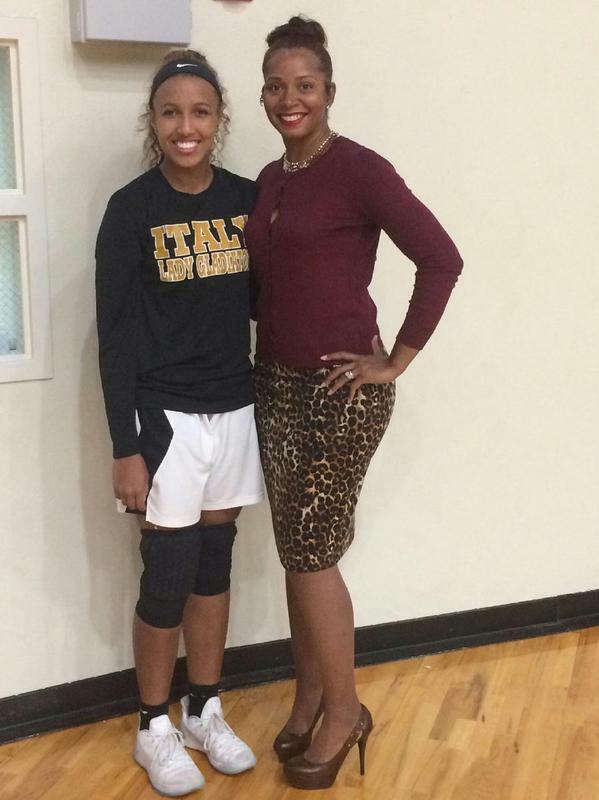 In addition to playing basketball for the Lady Gladiators, she has been a member of the track team. As a Sophomore she won 1st place in district in the shot put and placed 5th in area. Last year she placed 1st in District, 2nd in Area and 3rd at the Regional Track Meet in the shot put. “Emmy uses her natural ability as an athlete and her spirit as a competitor to excel in the shot put and I look forward to her senior season to see what she can accomplish, said IHS Track Coach, Sean Connor. She excels on the court and in the classroom. Emmy aspires to play basketball in college and attain her degree in physical therapy. Her biggest dream would be to play basketball in the WNBA. With her skill, focus and determination, her dream could become a reality. Cunningham is a 6’1” senior on the Lady Gladiator basketball team. She averages 19.2 points, 12 rebounds and 6 assists per game. Until last week, her high was 42 points in a game against Valley Mills last year. On December 5, 2017 she broke her record by scoring 50 points against Gateway at the dome in Italy. She also holds the Lady Gladiator record of eight 3-pointers in one game. Last week Cunningham made Italy history again and added to her legacy here. Coach Walker was notified that Emmy had been nominated to the 40th Anniversary McDonald’s All American Basketball Team. Out of all high school basketball players throughout the United States, only 750 are nominated. Several colleges have shown interest in Emmy and sent representatives to Italy High School including Texas State University and Indiana State University. Her future is bright because she gives 100%, works hard, sacrifices spending time with friends to practice and focuses on what is important for her future. She is a perfectionist that gets very frustrated when things don’t go the way she wants them to. She hates to lose and sometimes is too serious on the court. But,on the other hand she is a team player with a winning attitude and very humble. Several of her fans have stated it is an honor to watch an athlete of her caliber play. Many times after a game. she has come into the stands to thank several of the Italy fans for coming to support the team.